The Haunted Chambers, the Giant’s Coffin, the Devil’s Looking Glass, and the Bottomless Pit are just a few of the ominously named features experienced daily by visitors to Mammoth Cave. An experienced guide can offer tourists a name for nearly every nook and cranny in the vast cave system. The many named features of Mammoth Cave have served many purposes over the cave’s history; they are used as landmarks to help explorers navigate the never-ending labyrinth of passages, reminders of events that occurred at different locations in the cave, odes to the brave men and women that dared to venture into a previously unknown place, or even reflections of people and events in popular culture. For instance, if a visitor was familiar with the popular locations of New York State, they may wish to visit the Frozen Niagara, the Hippodrome, or Grand Central Station in the New Entrance. However, if a visitor was seeking an adrenaline rush and an adventure deep beneath the surface of the earth, darker and more sinister names on a route often helped ticket sales. What greater rush could there be in the early nineteenth century than to follow a guide, miles into the bowels of the earth, and stare into the abyss of the Bottomless Pit? However, in a long-forgotten place, deep within Mammoth Cave, guides in the early nineteenth century made one of the greatest attempts to spark the dark imaginations of adventurous travelers. If there was any portal to the underworld to be found, it was almost certainly at the deepest known location in the cave, at Symmes’ Pit. Before Stephen Bishop and the famous crossing of the Bottomless Pit, the farthest known place in Mammoth Cave was around three miles from the entrance. Following today’s Violet City Lantern Tour route, visitors travel for roughly three miles down Main Cave, the large trunk passage that extends from the Rotunda to the passage’s termination at Violet City. However, the man-made entrance through which they exit was not blasted open until 1931. Violet City, the large chamber with tall domes and beautiful formations, was not discovered until Max Kaemper and Ed Bishop found their way through the Ultima Thule in 1908. In the early days of tours, Main Cave dead-ended much earlier. Just beyond Chief City, the largest known room in Mammoth Cave, visitors were forced to turn back and make the long return trip to the only way in or out of the cave. However, they had not yet reached the farthest known place. Just before Main Cave’s termination sits an intersection at St. Catherine’s City, named for the fourth century martyr. If an adventurous visitor wished to see even more of the cave, they might choose to turn left and explore the Blue Springs Branch. Perhaps more enticing, though, was the passage to the right. Leading to the farthest known place in Mammoth Cave was the Symmes’ Pit Branch, named for a well-known war hero, scientist, and public figure: Captain John Cleves Symmes. Born to a prominent New Jersey family, Symmes gained fame for his military career during the War of 1812, where he rose to the rank of captain. He is more famous, however, for being the American that created the “Hollow Earth” Theory, which stated that the earth was hollow and that the interior was accessible through openings at the poles. In 1818, Symmes proposed an expedition to the North Pole, yet was greeted with ridicule. In 1820, Symmes moved to Newport, Kentucky and devoted himself to the promotion of his theory of concentric spheres. His theory stated that the earth consisted of a series of habitable concentric spheres and access to the lower levels of the earth could be gained through polar openings. His theories were never accepted by the American public. 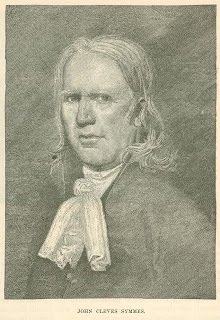 Captain Symmes died, deeply in debt, in 1829. 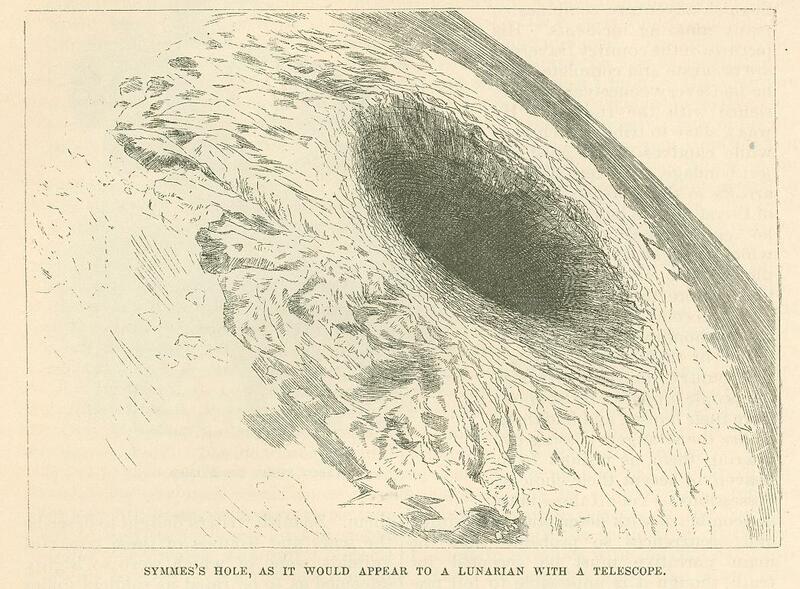 While failing to prove his theory on the interior of the earth, Symmes did prompt the exploration of the Earth’s poles. At Mammoth Cave, Captain Symmes’ theory provided guides the opportunity to use his popularity to their advantage while also sparking the imagination of their guests in the same way that they had with their other ominously-named features. For those who doubted Symmes’ theory, it may have also provided them with the chance to have some fun at the expense of the ridiculed scientist. Symmes’ Pit Branch was a tall canyon, half a mile in length, that terminated at a large dry pit that gave the passage its name. Symmes’ Pit was described by both Edmund Lee in 1835 and Robert Montgomery Bird in 1838. Bird described the pit as being similar to a lion-spider’s trap and warned visitors to avoid stepping too close to the dangerous pit of unknown depth. Despite the laugh visitors may have had at the unbelievable nature of Symmes’ theory , a warning from their guide and from well-known figures like Robert Bird may have also kept them wondering. Where did the pit lead? Their curiosity, however, was short-lived. 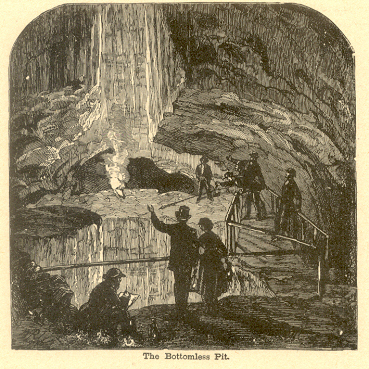 By the late nineteenth century, it had become rare for visitors to take the long journey to visit Mammoth Cave’s version of the portal to the underworld. 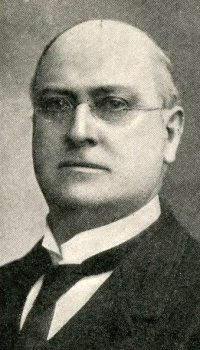 Dr. Horace Hovery and Dr. Richard Ellsworth Call described the passage in the 1880s and 1890s, but state that the passage wasn’t really worth a visitor’s time. Perhaps in the long years after Symmes’ death, the joke had lost its luster. He was no longer as well-known or publicly ridiculed as he had been in years before. Also, more remote and exciting locations in Mammoth Cave had been discovered by the 1840s and 1850s, which may have captured the imaginations of adventure seekers more than the “lion spider’s trap” beyond Chief City. A final nail in the coffin for the popularity of the Symmes’ Pit Branch may have come when the passage was ultimately renamed. Although the pit still bears the name Symmes, Dr. Hovey chose to change the name of the passage to honor an important contributor to Mammoth Cave’s history and the beginning of the Kentucky Cave Wars: Dr. Christopher Blackall. Today, Symmes’ Pit Branch is more commonly known as Blackall Avenue. Over the last century, it has been quietly forgotten. The man for whom it is named has shared the passages fate, although he may be considered as responsible as any for the ruthless competition of the Kentucky Cave Wars which began shortly after his visit to the world’s greatest cave. 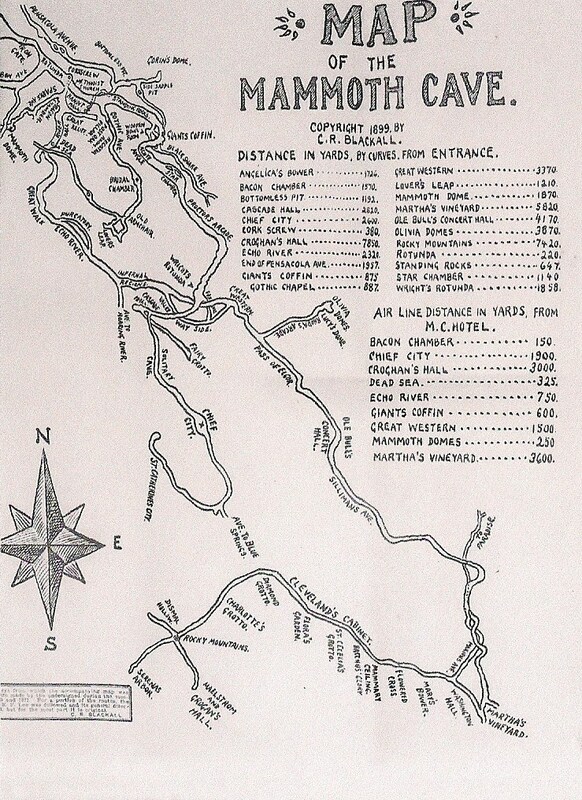 Dr. Christopher Blackall’s map of the cave in 1871 was the first to show definitive proof that the cave’s extensive passages passed beyond the property of the Mammoth Cave Estate. His map indicated not only the distance from the entrance to different features of the cave, but also included an “air line” distance. Although it was immediately suppressed by management and unpublished until 1899, his map proved that distant stretches of the cave could be found under adjacent properties and potentially developed to compete against the Mammoth Cave Estate. His map set the stage for the L & N’s development of Colossal Cavern. It was also his map that showed cave diggers like J.D. Hackett and George Morrison that there were greater opportunities for success under the ridges around Mammoth Cave. Although long forgotten by the guides and tourists that pass by it every day, Blackall Avenue (or the Symmes’ Pit Branch) sits as a quiet reminder of the locations, people, and events that shaped Mammoth Cave National Park. Previous PostTraveling to Mammoth CaveNext Post“The Kentucky Cave Wars” now available on Amazon! “The Kentucky Cave Wars ” now available at the Eastern National Park Store at Mammoth Cave National Park! “The Kentucky Cave Wars” now available at Barnes & Noble! “The Kentucky Cave Wars” now available on Amazon! Black Guides of Mammoth Cave A documentary being produced by fellow Mammoth Cave researcher Edward Forrest Frank, with his partners, Phoebe Frear and Steven Barnes.